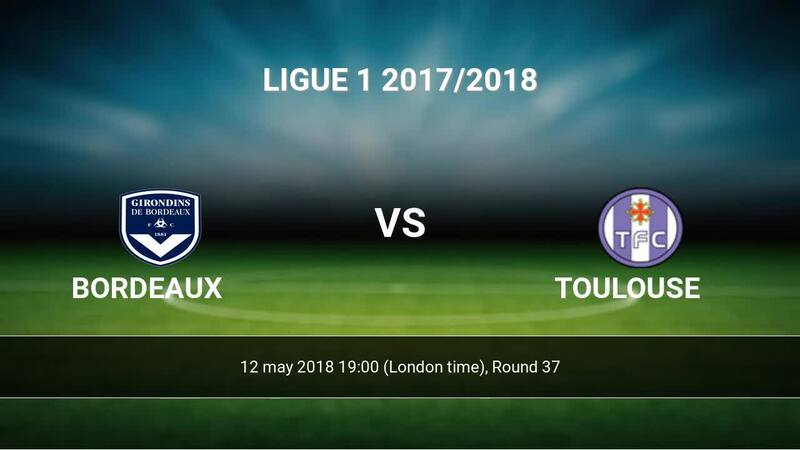 Match Bordeaux-Toulouse Ligue 1 the fixture is set to kick-off 12-05 19:00 on Matmut Atlantique. Refereee Ruddy Buquet. Team Bordeaux is located in the middle of the table. (9 place). In 5 last matches (league + cup) team gain 12 points. Bordeaux has not been defeated from 2 matches. The most goals in Ligue 1 for Bordeaux scored: Malcom 10 goals, Francois Kamano 7 goals, Younousse Sankhare 7 goals. Most goals developed: Malcom 6 assists, Francois Kamano 4 assists, Younousse Sankhare 1 assists. In Bordeaux not occur in the match due to injury: Younousse Sankhare. Team Toulouse is in the releagtion zone of the table. 18 position. Toulouse in 5 last matches (league + cup) have collected4 points. Toulouse did not win the match away from 5 games. Leading players Toulouse in Ligue 1 is: Max-Alain Gradel 7 goals, Andy Delort 5 goals, Yaya Sanogo 5 goals. Most assists in the club have: Max-Alain Gradel 1 assists, Andy Delort 5 assists. Direct matches: usually ended with winning of Bordeaux. 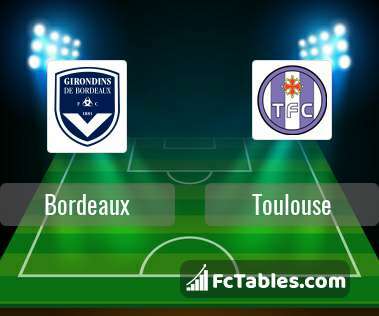 Balace of both teams games are: 17 won Bordeaux, 14 wins Toulouse, 7 draws. In 17 matches the sum of the goals both teams was greater than 2.5 (Over 2.5). On the other hand, 27 matches teams scored more than 1.5 goals (Over 1.5). In 20 matches the both teams have shot at least one goal.